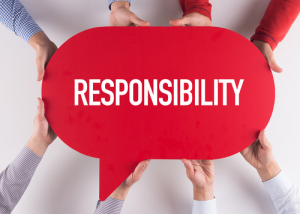 In a report by InstaMed, regarding healthcare payment trends in 2015, it found that a staggering 74 percent of healthcare providers reported an increase in patient responsibility. It discovered that 2 out of 3 consumers prefer to pay their premiums online and 9 out of 10 want to know their payment responsibility prior to being treated. MiraMed reports that healthcare costs have grown and surpassed U.S. economic growth by approximately 2.5 percent over the past decade. Healthcare expenses are projected to continue to top gross domestic product (GDP) through 2023. To offset these rising rates, insurance companies began crafting High Deductible Health Plans (HDHP). This significantly shifted the role of financial responsibility to the patient. According to data collected from the 2016 open enrollment period, out of nearly 12.7 million people, 90 percent elected to choose a plan containing a high deductible, escalating out-of-pocket healthcare expenses by more than 200 percent. Thirty percent of healthcare provider revenue comes directly from patients. This means physicians are collecting more payments directly from their patients instead of insurers, making self-pay the largest payment method, right behind Medicare and Medicaid. Patients are left with the responsibility of covering drastically higher proportions of their healthcare bills. This is a contributing factor in the staggering increase of healthcare debt between both insured and non-insured individuals. Along with the major conversion in healthcare provider reimbursement from the old system of fee-for-service to one with an emphasis on better quality care, healthcare costs are projected to continue shifting from insurer to patient. Therefore, it is critical for healthcare providers to develop collection strategies in an effort to avoid lost revenue and retain patients. This is not an epidemic only affecting small practice physicians. All providers, regardless of practice size, must adjust their revenue cycle management strategies to offer more flexibility in their payment methods. Transparency is imperative. Tell your patients what they owe prior to their visit to avoid surprises. Consider setting up a single source to manage your patients, streamlining the payment collections process. Offer online and mobile payments with secure credit card storage as an option. Seventy percent of patients prefer to pay their bills electronically. As the healthcare industry evolves, you will need to adjust your revenue cycle management to keep up with the changes. Rev-Ignition offers a line of services tailored specifically for your needs, including billing, payments, and claims processing. To speak with a professional today, call (844) 297-9944.